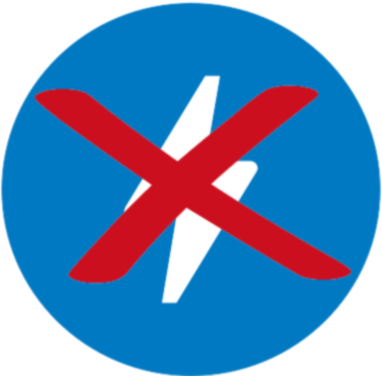 S1. 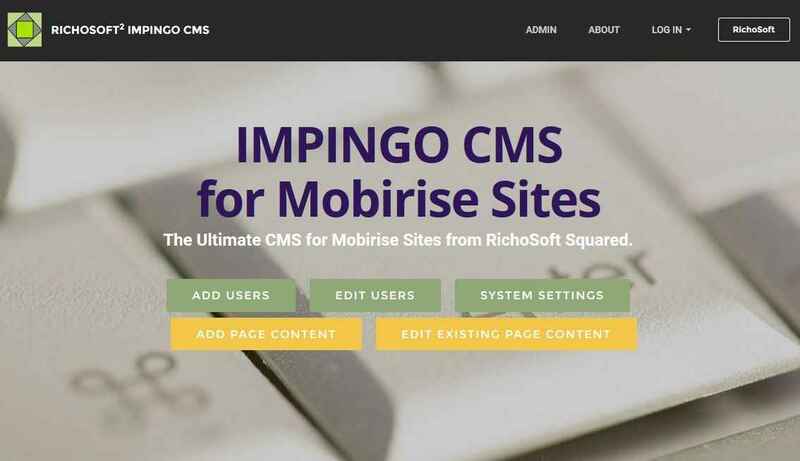 Mobirise (English) Impingo CMS System. Russian Version also available here. 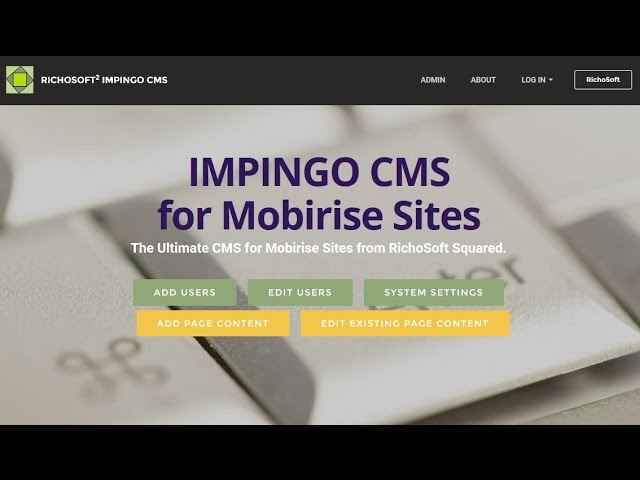 IMPINGO CMS System System for Mobirise* sites. An easy to set up CMS System for Mobirise. 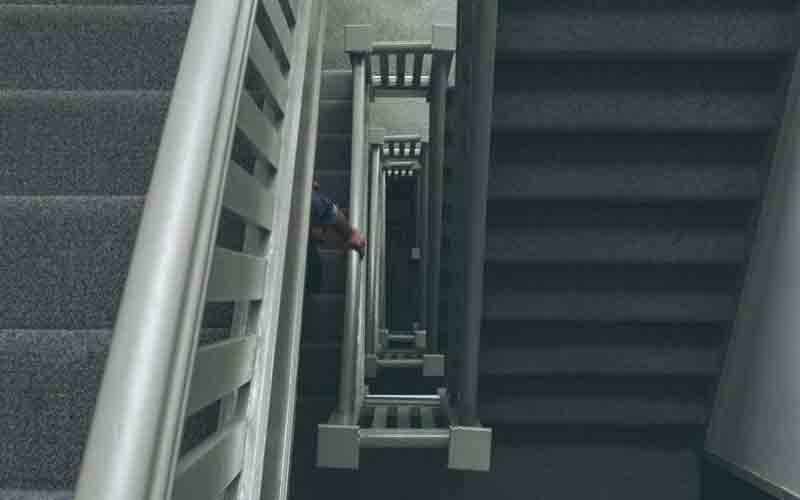 Easily add as many additional Users as you wish. Additional users can Edit CMS Areas. Protected editor prevents scripts and php code being entered. Full function editor add almost anything. 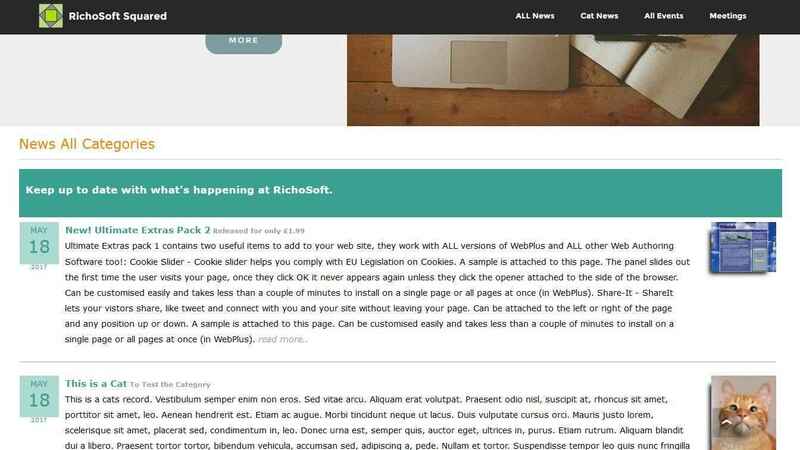 Allows some bootstrap and mobirise classes to be added to elements. Add one CMS block to any page in your main site. Edit CMS content live online from anywhere without Mobirise. Insert Templates function, comes with two templates, more FREE templates will be added soon. All Required Support Files - Richosoft created code files and libraries, A Mobirise Project File is available to customise the system pages available at extra cost..